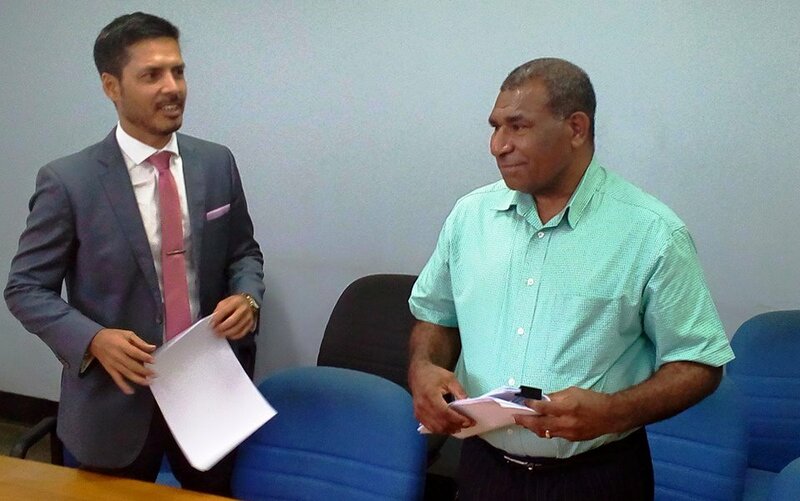 The Member for Madang Bryan Kramer has officially lodged a formal complaint against the NCD Governor Powes Parkop regarding the controversial K250, 000 a month Yoga Contract. Mr. Kramer said he has taken up the challenge by Governor Parkop to take the matter to the Fraud Office if there was anything sinister about the contract. As such, he has formally filed his complaint with the National Fraud and Anti- Corruption Directorate in Port Moresby today to have police look into this matter. “When this matter came to light, I did ask the governor on social media about the copies of the records, but he didn’t make available the records so it’s appropriate now to have authorities to obtain those records and establish the nature of this contract that was awarded to this foreign enterprise,” he said. He said the records are public records and as such, should be made available because public funds were used. Kramer’s complaint was attached with supporting documents, including the statement made by the NCD governor on the floor of parliament regarding the contract. The Fraud Squad Director, Mathew Damaru said normal investigation process will take place and the outcome will be based on what they undercover from the investigation. Meanwhile, after lodging his complaint, Kramer made his intention public that he will from now on engage citizens to go after the issues of corruption rather than waiting for scandals to occur before doing something. “I’m not going to wait as the member for Madang, I was elected by the people of Madang to fight corruption and I am going to take it to the next level,” he said.